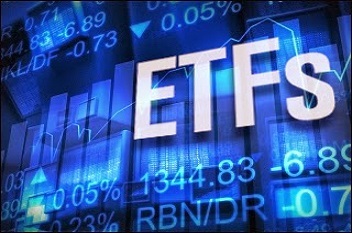 After the successful launch of CPSE ETF in January 2017, the Government of India has announced the launch of yet another exchange traded fund (ETF) named Bharat 22. Bharat 22 ETF will mirror the performance of 22 companies in which the government holds stakes and plans to divest. The Bharat 22 ETF will channel the funds collected from the subscribers into the basket of 22 stocks and will mirror the performance of the index. The ETF units sold by the government will represent a slice of the Bharat 22 fund and issued units will be listed on exchanges for trading. The Bharat 22 ETF will invest in some of the top PSUs and also blue chip private sector companies in which the government holds a stake through Specified Undertaking of the Unit Trust of India (SUUTI). The big names among PSUs include heavyweights such as State Bank of India, NTPC, NHPC, ONGC, Power Grid Corporation, Indian Oil, Coal India, GAIL, Bharat Electronics, Engineers India, Bank of Baroda, Indian Bank, NBCC (India), NALCO, among others. The SUUTI heavyweights include Larsen & Toubro, ITC, Axis Bank, etc. The sectors in which Bharat 22 ETF proposes to invest include energy, finance, engineering, FMCG, utilities, construction and mining. ICICI Prudential AMC will manage Bharat 22 ETF and Asia Index will provide the index which will be rebalanced annually. So, if you want a slice of the government pie as well as some private sector blue chips stocks, you can consider investing in Bharat 22 ETF.